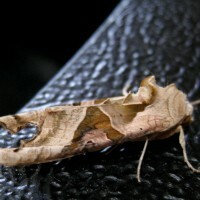 Last week we celebrated National Moth Night. 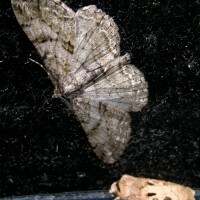 The national event in recognition of moth recording is organized by Atropos and Butterfly Conservation and focused this year on woodland moths. 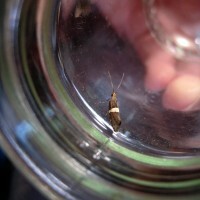 To celebrate, we welcomed you to join us as we checked the trap on Sunday morning and meet some of Mudchute’s many moths! 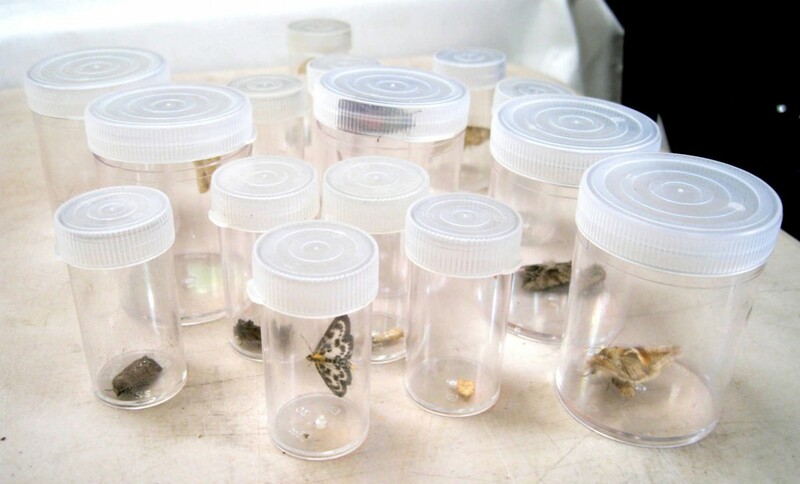 Here at Mudchute, we provide valuable habitats for these creatures, supporting moths at all of the stages of their lives. 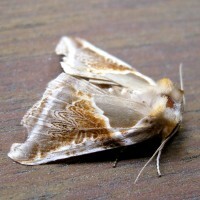 Our trees and shrubs offer food for hungry caterpillars as well as places for moths to hibernate over the winter. 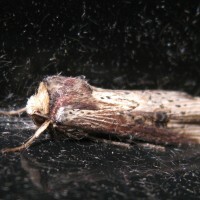 Our blossoms and wildflowers provide food for adult moths, including migratory species who refuel on their journeys. 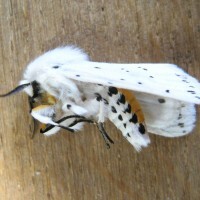 Caterpillars and moths in turn are food for nesting birds and bats. 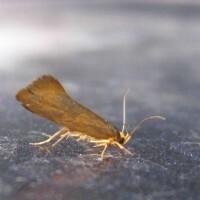 Finding out more about the moths that live in and pass through our site will allow us to better understand the ecology of Mudchute and bigger issues such as climate change. 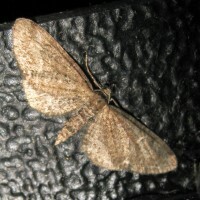 To trap the moths, we set up our moth trap overnight. 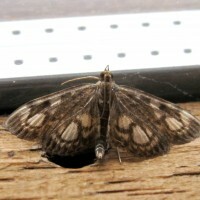 The trap uses a very bright light to attract the moths and its shape helps to funnel the moths into the trap. 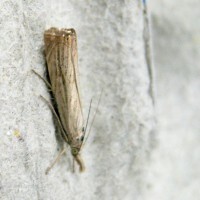 On Sunday morning we found nearly 70 moths in the trap (as well as a few beetles, flies, lacewings and a wasp)! 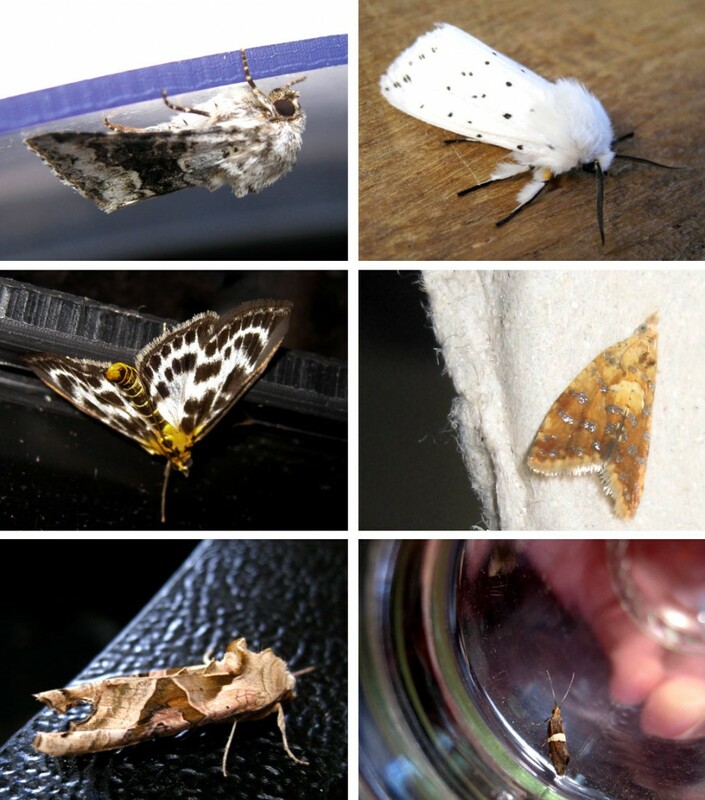 The moths we’ve met at Mudchute come in a huge range of shapes, sizes, colours and patterns. 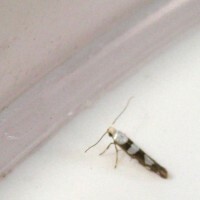 They are all adapted to particular niches. 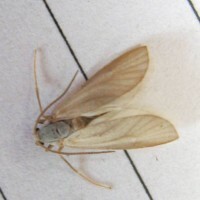 Some hold their wings tight to appear long and narrow to hide among the grasses, others spread their wings wide and flat to lie flush against the bark of trees. 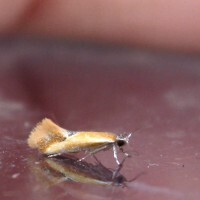 The Water Veneer (Acentria ephemerella) has even evolved to live part of its life underwater! 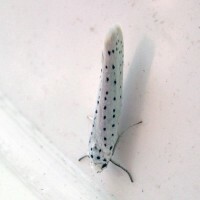 Below you can find just a few of the incredible species we’ve encountered. 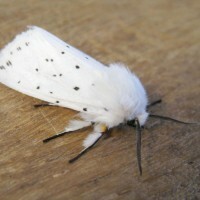 The White Ermine (Spilosoma lubricipeda) playing dead. 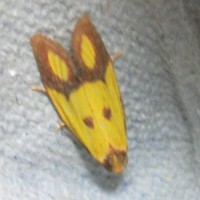 Moths were not our only visitors. 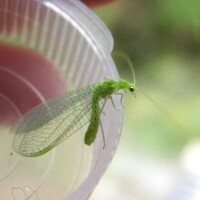 This was one of several lacewings we found in the trap. 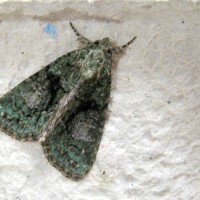 The Tree-lichen Beauty (Cryphia algae) a migratory species. 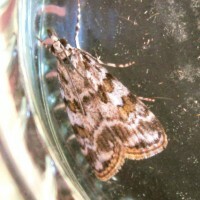 The Water Veneer (Acentria ephemerella). 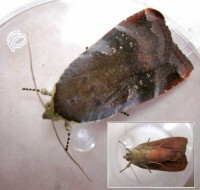 Lesser Broad-bordered Yellow Underwing (Noctua janthe). 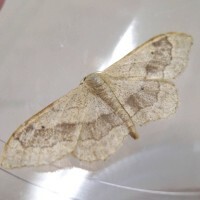 The Angle Shades (Phlogophora meticulosa) mimics a leaf. 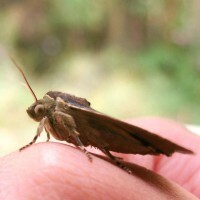 All moths were released after being counted! 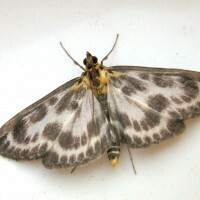 You can find out more about moths at Butterfly Conservation’s Moths Count website. 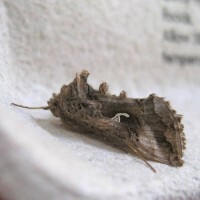 While Britain is home to about 70 butterfly species, it is home to some 2,500 species of moths, including species which pass through the country during their migration, which includes routes from North Africa and Scandinavia! 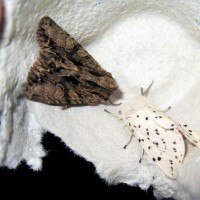 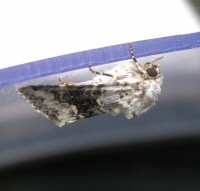 Interested in finding out more about moths at Mudchute? 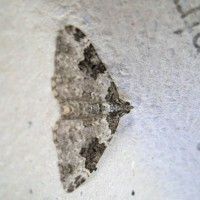 Get in touch via farm_office@mudchute.org to find out more about or next trapping day.